For 20 years, Cafe Campesino has sourced green (non-roasted) organic, fair trade coffee beans directly from farmers around the world. Those green beans are carefully stored and meticulously roasted to ensure that the best flavor profiles, nuances and freshness make up every pound of coffee sold. Our coffee selection varies based on the available seasonable supply from our producer partners so your coffee is always fresh. 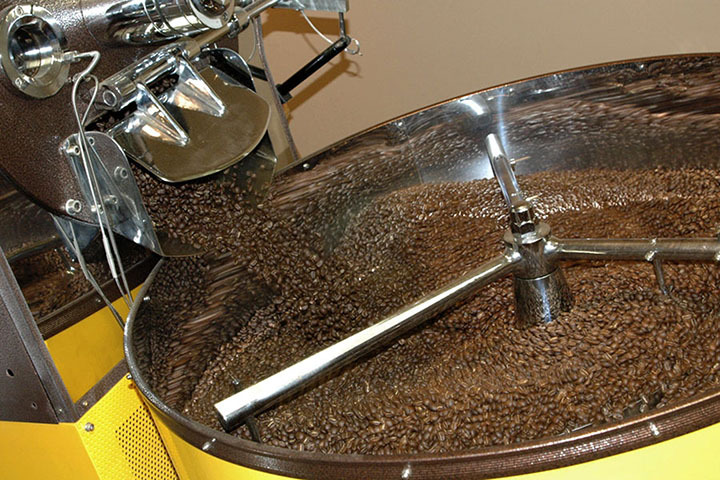 We offer single origin, decafs and half caffs, blends, and espresso blends. Medium Roast: Light body, bright nutty flavor. Light brown beans with no oil present on the surface. View our Medium Roast coffees. Full City Roast: Retains some of the brightness and nutty flavor of lighter roasts but picks up the rich and sweet character of darker roasts. Patches of natural coffee oils emerge on the surface. View our Full City Roast coffees. Viennese Roast: On the light side of dark, this roast has the richness of French Roast without the carbon-smoky flavor. The bean will be dark reddish brown and only slightly oily. View our Viennese Roast coffees. French Roast: Very bold flavor and deep, dark color with a rich, syrupy taste. Beans are covered with natural coffee oils. View our French Roast coffees.